Enchantress looks like an interesting character, with a variety of different counters and the ability to teleport around the stage. While she has a diverse array of moves at her disposal, she appears to be a bit slow, and, I’m guessing, isn’t terribly powerful. It feels like Enchantress might be one of those, “for advanced players only” fighters, but you never know. There’s only so much you can glean from a quick 90-second trailer. Enchantress will be the second Injustice 2 Fighter Pack 3 character released. Fighter Pack 3 also includes the size-shifting Atom, and the Teenage Mutant Ninja Turtles. No, really. You can check out the initial Fighter Pack 3 reveal trailer, below. 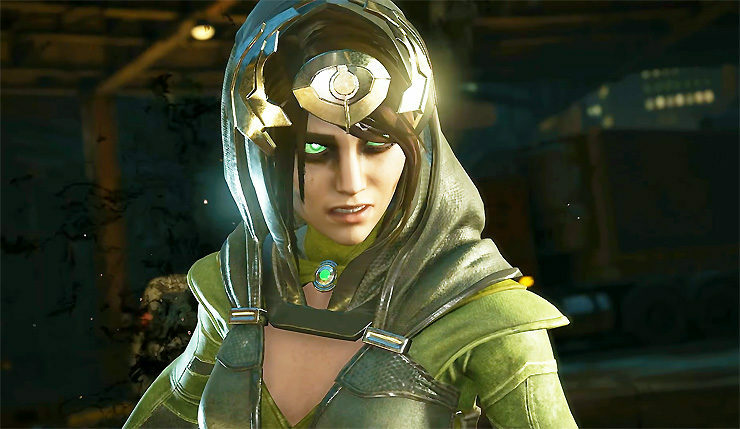 You can get your hands on Enchantress by purchasing Fighter Pack 3 for $15, or the Injustice 2 Ultimate Pack, which includes Fighter Pack 1, 2, and 3 for $40. Fighter Pack 1 includes Red Hood, Starfire, and Sub-Zero, and Fighter Pack 2 features Black Manta, Raiden, and Hellboy. Injustice 2 is currently available on PC, Xbox One, and PS4. Players will be able to download Enchantress on January 9.